Vintage Lungs Illustration. 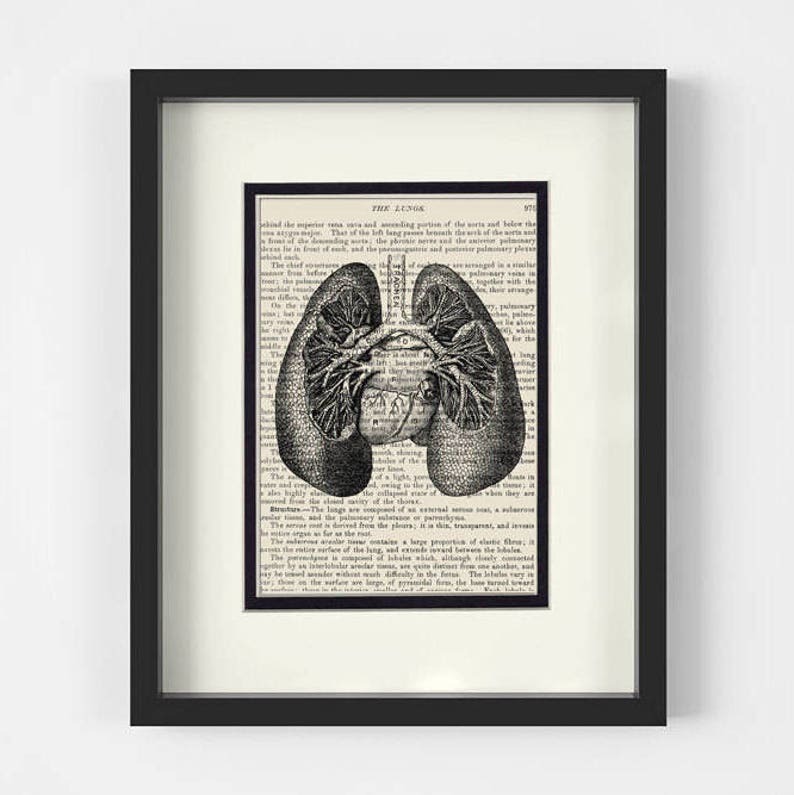 Vintage Anatomy Book Page Art Print. Mounted under an 8x10 creamy white mat with an inner black border. A unique one of a kind of piece of artwork. Beautiful product just as pictured! Arrived very fast as well!